Pres. 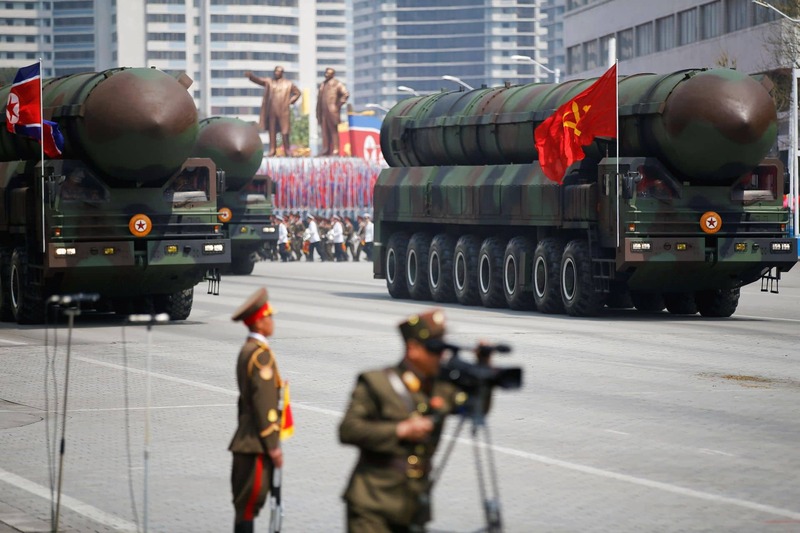 Trump Says "North Korea Has Shown Great Disrespect To China With Another Missile Test"
Despite the sanctions and anger from world leaders, North Korea has continued to carry out missile tests to boost its defense. It continued the series of tests this weekend with yet another launch of a ballistic missile and US president, Donald Trump has described it as a great disrespect to North Korea's neigbour, China. 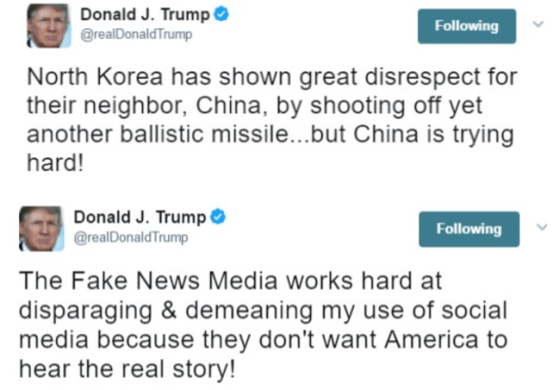 Then Trump went ahead to take shots at the media saying they don't want him t use social media because they don't want America to hear the real story!